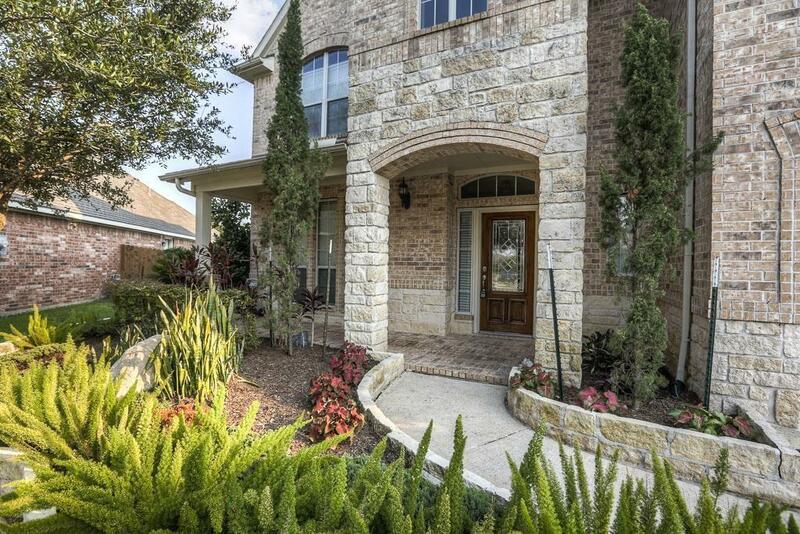 Beautiful Triumph Home in highly sought after Shadow Creek Ranch! 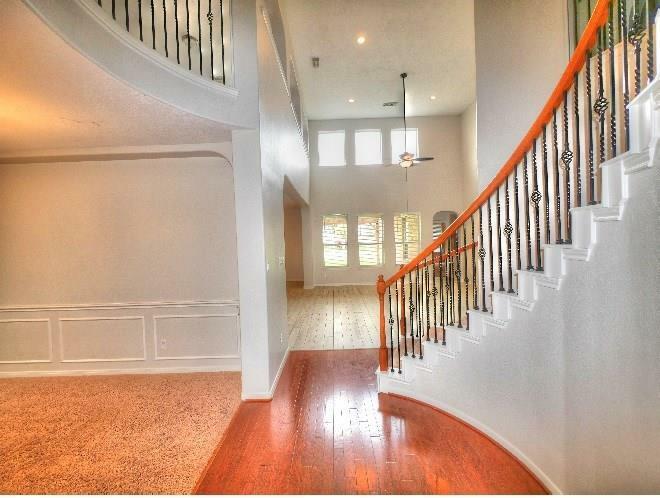 Lovely 5 bedrooms + 3.5 baths + Formal Living & Dining! 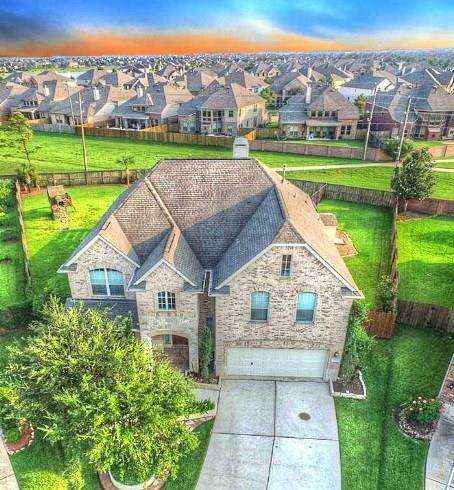 home on HUGE OVERSIZED Cul-de-sac lot!!! Master + versatile bedroom downstairs! NO FLOODING DURING HARVEY!!! Home Features! New tile throughout and fresh paint throughout 12/18. Spacious over-sized family room w/fireplace! Covered Patio! Gourmet kitchen w/cherry cabinets + granite counter tops + under mount sink! Wrought iron spindles! Game room + Media Room w/wet-bar upstairs! 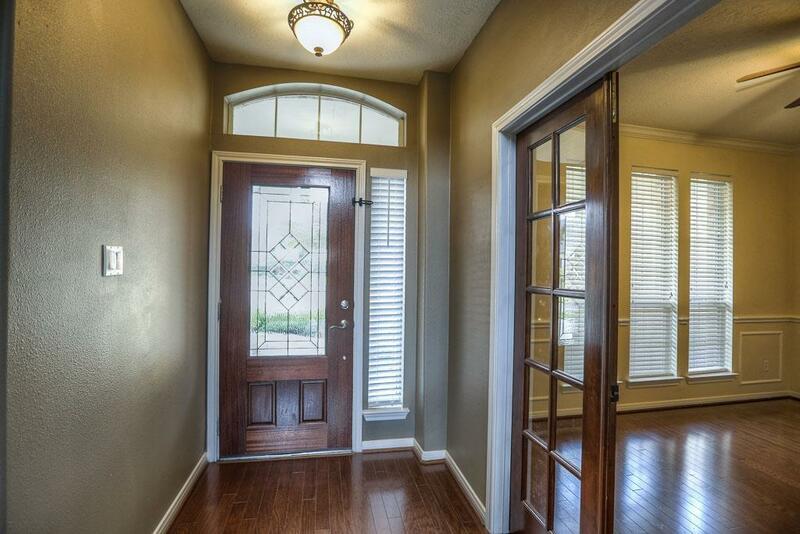 Stunning wood floors in extended entry! Master bedroom down + Versatile Study/5th bedroom down! Recessed lighting! Brick on back side 1st floor! Hurry! Luxurious home great for entertaining family and friends. Huge back yard with Covered Patio. MUST SEE! !